Japanese Prime Minister Shinzo Abe arrived in St. Petersburg on Thursday to attend an international economic forum and hold a summit with Russian President Vladimir Putin, during which bilateral economic cooperation is likely to be high on the agenda. During their 21st face-to-face talks in Moscow on Saturday, Abe and Putin are expected to agree to speed up preparations for joint economic activities in five areas on disputed islands, which Russia controls but Japan claims, Japanese government sources said. "I have to hold frank and heart-to-heart talks with President Putin" to advance negotiations over a postwar peace treaty, Abe said in his office before his departure from Tokyo's Haneda airport. Japan hopes that the implementation of the economic activities, including aquafarming, will lead to an eventual settlement of the territorial spat that has prevented Tokyo and Moscow from signing a peace treaty. Moscow, meanwhile, is seeking to attract investment to the islands to develop the Russian Far East. The two countries will also likely agree to allow former Japanese residents of the islands to visit ancestral graves by plane again this year following the first such trip in September last year, the sources said. 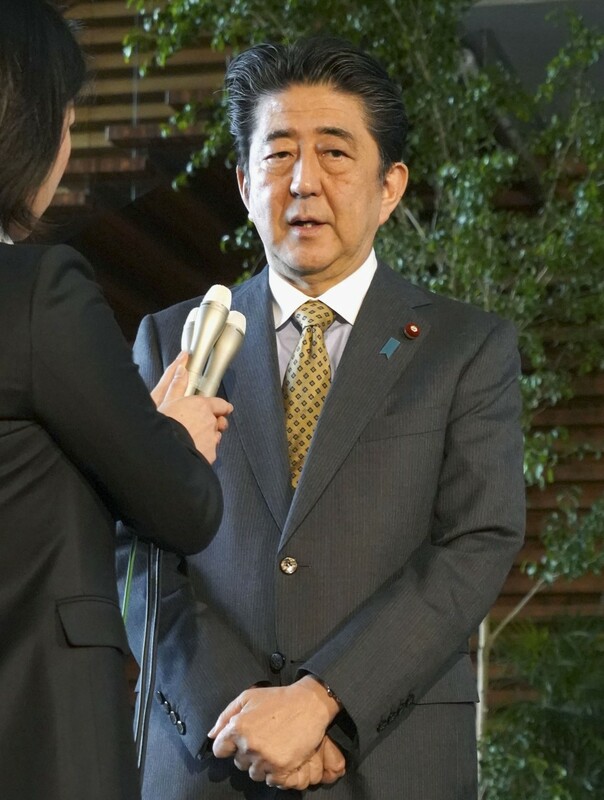 Speaking to reporters, Abe said he hopes to see "tangible development" on the issues. Progress has been slow since Abe and Putin agreed in December 2016 to begin discussing joint economic projects on the islands called the Northern Territories in Japan and the Southern Kurils in Russia. The two countries need to come up with a "special framework" that will not compromise either side's legal position on the disputed islands' sovereignty. The islands of Etorofu, Kunashiri, Shikotan and the Habomai islet group were occupied by the former Soviet Union at the end of World War II. The two leaders are expected to agree on new projects under an eight-point cooperation package, which Abe proposed in 2016, covering areas such as health care, energy and urban development, according to the sources. On the security front, Abe and Putin may exchange views on how to deal with North Korea as U.S. President Donald Trump has canceled the planned summit with the North's leader Kim Jong Un scheduled for June 12 in Singapore. 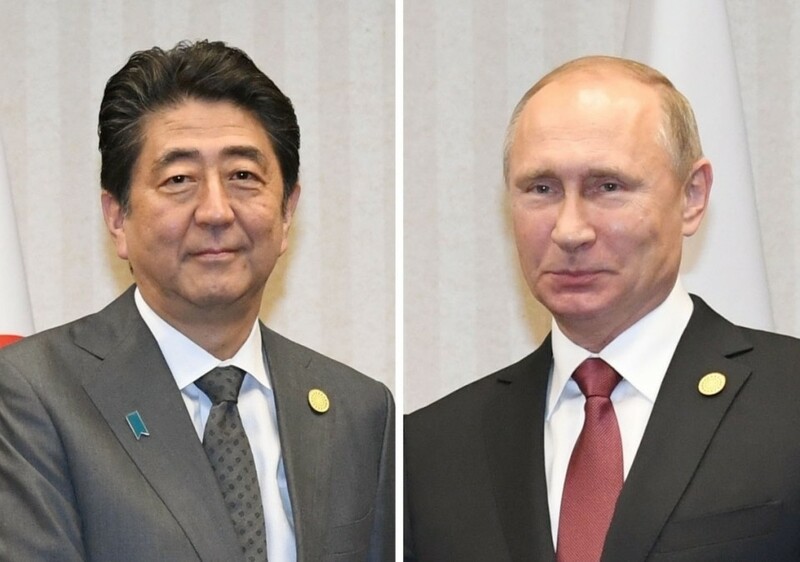 It will be the first meeting between Abe and Putin since the Russian president was re-elected in March for a fourth term through 2024. On Friday, Abe is scheduled to participate in the St. Petersburg International Economic Forum, with Putin and French President Emmanuel Macron also taking part. On Saturday, Abe will likely attend a ceremony in the capital where a Japanese Akita puppy will be given to Pyeongchang Winter Olympic women's figure skating champion Alina Zagitova by the Akita breed preservation group. Later in the day, Abe is scheduled to take part in a ceremony to open the 2018 "Japan Year in Russia" and "Russia Year in Japan" bilateral cultural program before he returns home.